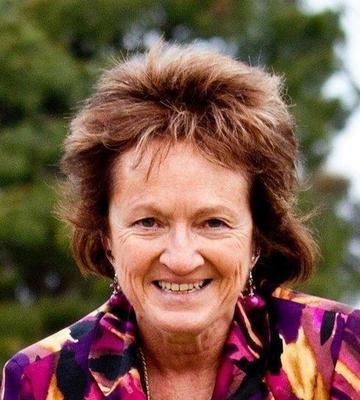 Congratulations to Dr Heather Reynolds who has been appointed to the position of Chair, Professional Standards Council / Chief Standards Editor 2016-2019 for the Australian College of Perianaesthesia Nurses (ACPAN). 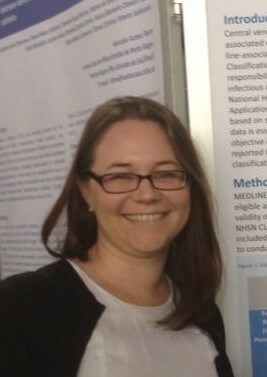 Emily Larsen is a Senior Research Assistant with AVATAR, having begun her work with the group in 2012. She commenced studying a Graduate Diploma of Health Research in 2013, under the supervision of Professor Samantha Keogh and Professor Claire Rickard, which was completed in July 2016. As a component of Emily's studies she undertook a qualitative research project exploring patients' lived experience of peripheral IV insertion within a medical/surgical inpatient setting. Ten patients were sampled from the medical/surgical units of the Royal Brisbane and Women's Hospital between May 2015 and September 2015. Semi-structured interviews were conducted and analysed using a hermeneutic-phenomenological approach. The interviews varied in duration from five to 26 minutes. 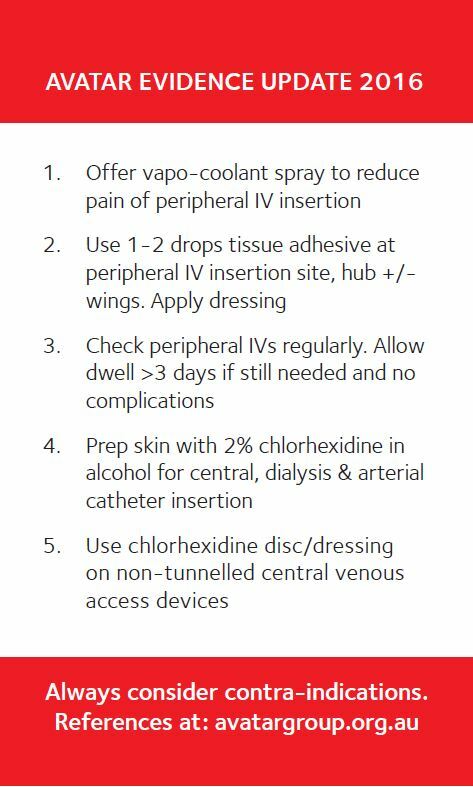 Patients were asked one initial question 'what has been your experience of IV insertion?' and further questions developed from the dialogue. Four key themes developed from the thematic analysis including 'communication between the patient and the inserter'; 'technique of device insertion'; 'competence of the inserter'; and 'location of the device.' We look forward to sharing the results of this research with you all soon. 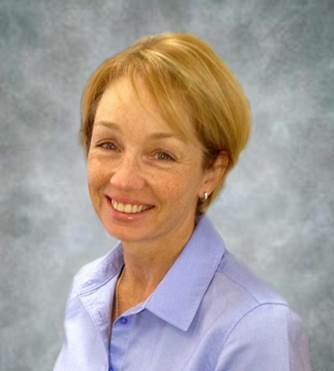 Please click here to read Samantha Keogh's interview in Nursing Review. (from left to right) Dr Wan Qiaoqin; Dr Guo GuiFang, Head of School of Nursing at Peking University; Dr Frances Lin (Griffith University); and Professor Shang ShaoiMei of Peking University. Dr Lin receives the "Excellent Alumni Award" certificate. Dr Frances Lin has received a research fellowship from the Griffith University- Peking University Collaborative Research Scheme Grant. Click here to read about her collaborative work in China, which includes her research on PIVC and the OMG study during the trip. 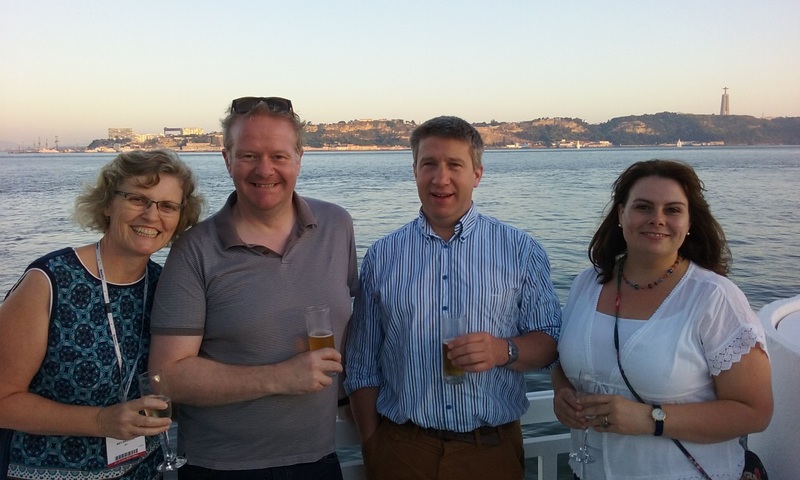 The AVATAR Group would like to extend a huge thank you to our industry partner, 3M who provided financial support for the team to attend the World Congress on Vascular Access in Lisbon, Portugal, in June. This was an excellent opportunity to showcase all of our great work and network with our vascular access colleagues from around the globe. Over 700 people have completed the AVATAR IV consumer surveys (adult and child). Please keep spreading the word! 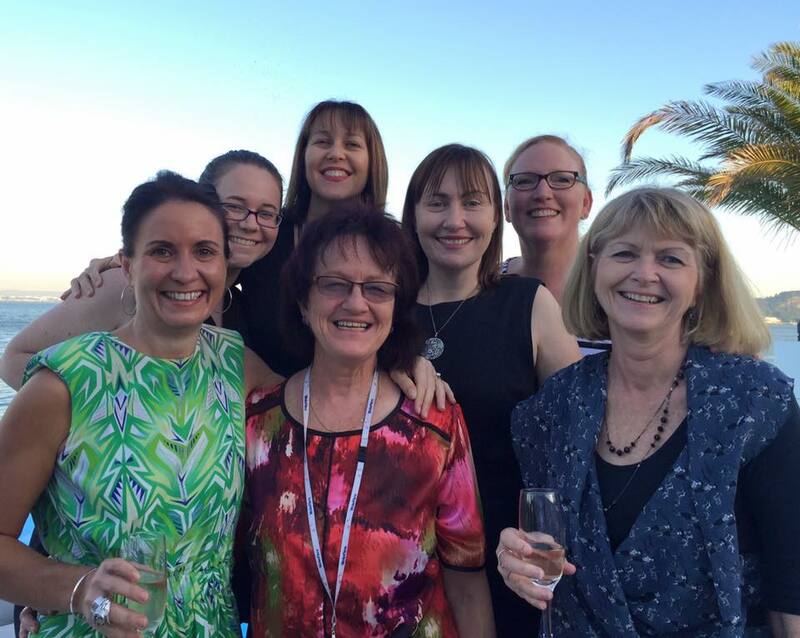 The Alliance for Vascular Access Teaching and Research (AVATAR) group at Griffith University specializes in research to prevent intravascular (IV) complications. We are interested in the experience of having an intravenous cannula (also called an IV or a 'drip'). An IV cannula is a small plastic tube inserted into a vein in the hand, arm or leg and left in place for a while so you (or your child) could receive medications, fluids, or blood. If you are over the age of 18 years and have any experience of having an IV in the last 5 years, please use the link below to answer 10 brief questions. If you have had a child (less than 18 years of age) who has experienced having an IV in the last 5 years, please use the link below to answer 10 brief questions. This survey is voluntary and anonymous, and your responses will help us learn more about the patient's experience of having an IV. Did you know we have lots of multimedia resources on the AVATAR website? Check out the promo! See you in Perth! 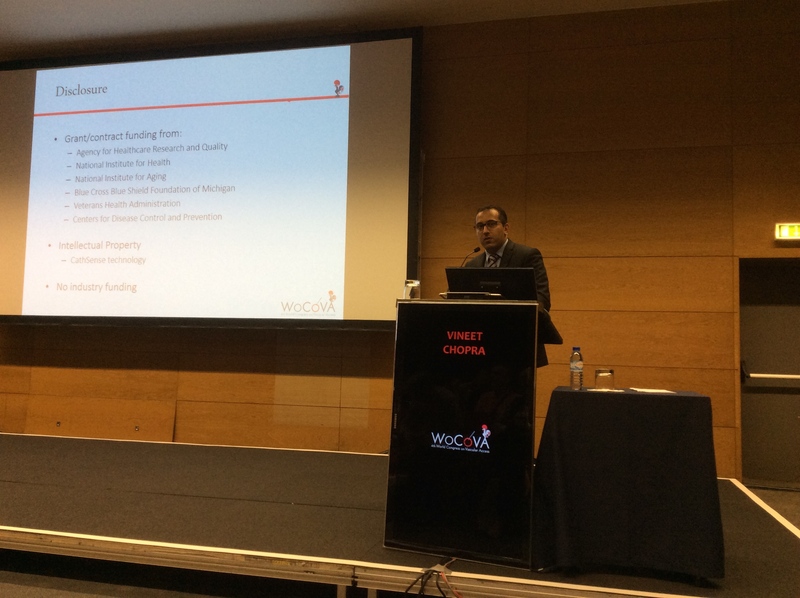 To learn more about the AVAS & WoCoVA 2017 Scientific Meeting, please click here. House of Cannulas #AVAS17 from Peter J. Carr on Vimeo. The AVATAR Group relies on competitive research funding from government and charitable organizations, as well as donations from individuals and industry. We receive no recurrent funding from any source. CONCLUSION: Neither increased flushing volume nor frequency significantly altered the risk of PIVC failure. Female gender, hand/posterior wrist placement and episodes of access (flushes and medication) may be more important. Larger, definitive trials are feasible and required. Rickard C. BJN Awards 2016: IV therapy. Br J Nurs. 2016 Jul 28;25(14):S33-4. Professor Claire Rickard was awarded second place in the BJN Awards 2016 for IV Therapy Nurse of the Year. Here she talks about the work she has done to be recognised in this field. surgical patients. Journal of Critical Care. 2016 June. Securement Device (SSD) + SPU vs suture + BPU. Results: It is estimated 3080% of hospitalised patients receive at least one PVC during a hospital stay. Despite their prevalence, PVCs are not benign devices, and the high number inserted annually has resulted in serious catheter-related bloodstream infections and significant morbidity, prolonged hospital stay and increased healthcare costs. To date, PVC infections have been under-evaluated. Most studies focus on central venous catheter rather than PVC-associated bloodstream infections. Risks associated with PVC infection must be addressed. Ullman AJ, Kleidon T, Gibson V, Long DA, Williams T, MCBride C, Hallahan A, Mihala G, Cooke M, Rickard CM. Central venous Access device SeCurement And Dressing Effectiveness in paediatrics (the CASCADE Junior Trials): protocols of pilot randomised controlled trials in PICCs, tunnelled, and non-tunnelled devices. BMJ Open. June 2016;6(6):e011197. METHODS AND ANALYSIS: Three feasibility randomised, controlled trials are to be undertaken at the Royal Children's Hospital and the Lady Cilento Children's Hospital, Brisbane, Australia to compare current practice with sutureless securement devices, integrated securement dressings and tissue adhesive. In total, 328 paediatric patients requiring a peripherally inserted central catheter (n=100); non-tunnelled CVAD (n=180) and tunnelled CVAD (n=48) will be recruited. Primary outcomes are study feasibility (eligibility, recruitment, retention, attrition, missing data, parent/staff satisfaction and effect size). CVAD failure and complication (catheter-associated bloodstream infection, local infection, venous thrombosis, occlusion, dislodgement and breakage) will be compared between groups. So you can't do a randomised trial, but need to know if a change in practice has a positive effect? This SHEA white paper, published in Infection Control & Hospital Epidemiology explains non-randomised study approaches that give the best chance of detecting cause and effect relationships between practice and outcomes. Marin L. Schweizer, Barbara I. Braun and Aaron M. Milstone. Research Methods in Healthcare Epidemiology and Antimicrobial StewardshipQuasi-Experimental Designs. Infection Control & Hospital Epidemiology, available on CJO2016. doi:10.1017/ice.2016.117. Interested in IV research? Visit our website. If you no longer wish to receive communication from us, please reply to this email with unsubscribe in the subject line.